Sheet metal folding is just one of the many services ControlFab provides. If you need a custom product to suit your specific requirements, you can trust that our professional team of metalworkers have years of experience in the industry and give close attention to detail to every product they manufacture. ControlFab has worked for major clients for years, and one thing we attribute to our successful relationships with clients is the high quality of our products. Folding is just one service we provide when it comes to high-quality sheet metal fabrication in Melbourne. 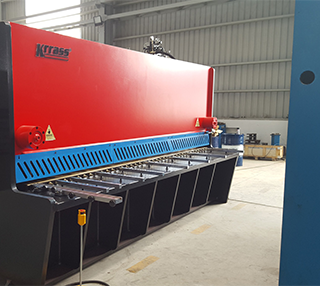 We also use plasma cutting, metal cutting, steel cutting and stainless steel fabrication services to produce our industry standard products. As a 100% Australian owned and operated company, ControlFab understands the need for durable and affordable sheet metal fabrication and sheet metal folding in our modern Australian society. We use advanced sheet metal folding equipment to provide a highly professional look to our products. Utilising only the most advanced machinery, we ensure all our products meet environmentally sustainable production methods and are built to last. Our attitude is to consistently achieve high-quality results that always come backed up by our values of professionalism, trust, honesty and personal service. At ControlFab, we also manufacture stainless steel benchtop, stainless steel grate, stainless steel sink and stainless steel handrail products. Our sheet metal folding service is ideal for many different fabrication applications. Submit an online enquiry form or call ControlFab today on (03) 9761 8248 to learn more about our sheet metal fabrication, metal cutting, stainless steel fabrication, plasma cutting, stainless steel products and cutting services.